This is a cool little video that explains how to put on your CEP Compression Socks. Easy, peasy! Active.com selected Drymax Maximum Protection Running Socks as one of their 5 Running Gear Picks for Spring. Drymax Socks continue to rock the house by everyone who tries them, including the experts! “The one thing runners want from a pair of socks is comfort. The Drymax Maximum Protection Running Sock provides the most comfortable ride of any pair of socks I’ve tried. It’s made with Teflon-like fabrics that help keep blisters at bay by reducing friction and getting rid of moisture. Purchase online at CoolFitWear.com. Free shipping on all orders to the US and Canada; no minimum. Low flat rate shipping to all other international locations. 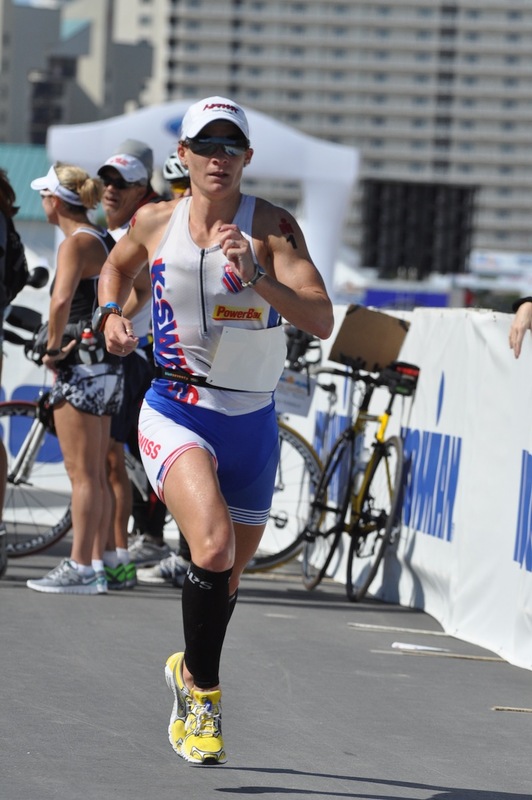 This is a photo of Jessica Jacobs wearing SLS3 Sleeves during one of her Ironman champion-winning runs. She scorched through the course in Panama City Beach, setting a new course record and becoming just the 13thwoman to break nine hours for an Ironman. Along the way she flew through a 2:53 marathon, one of the fastest in Ironman history. We love our SLS3 Compression Sleeves! Buy them online at: CoolFitWear.com. The Winner of the Iditarod Invitational Raves About Drymax Socks! The winner of the Iditarod Invitational raves about Drymax Socks, and how he wore then for 5 days without changing, and didn’t have a single blister at the end of the race. Awesome! We love Drymax Socks on sale at CoolFitWear.com.